For children living in culturally underserved communities, a morning or late afternoon children’s musical event is simply unaffordable and out-of-the-question. Rozzie’s Musical Ensemble will change that. 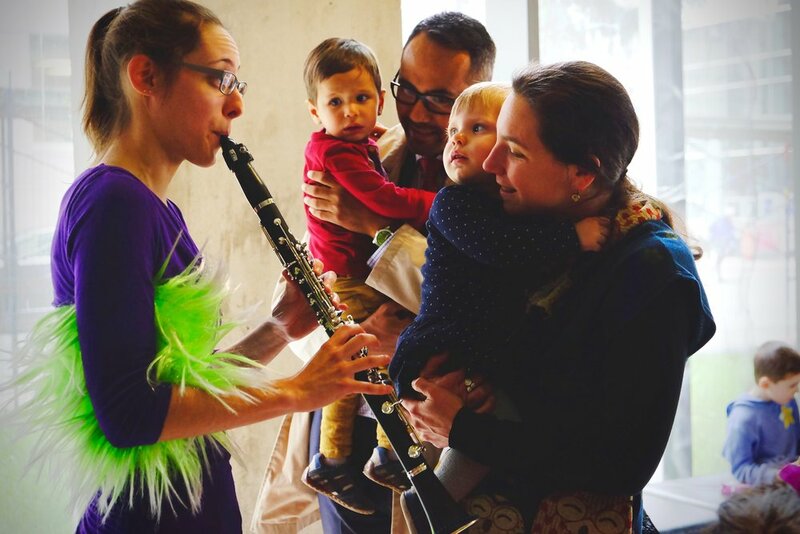 With your contribution, Bach Before Bedtime can engage and inform new communities about concerts, provide free tickets, and even facilitate transportation. Giving the gift of Bach Before Bedtime to all children in Montreal and sustaining Rozzie’s Musical Ensemble is only possible with your generous support. As part of OUR Outreach Program, Allegra Chamber Music and Bach Before Bedtime are proud to SHARE, Rozzie’s Musical Ensemble, a financial outreach initiative to provide subsidized tickets to underserved communities that may not otherwise experience or have access to classical chamber music. Dedicated in loving memory of Rosalind Goodman, an instrumental and devoted longtime Allegra Board Member and fervent supporter of Bach Before Bedtime, Rozzie’s Musical Ensemble encapsulates her passion of making art and culture accessible to all. By working in close partnership with many of Montreal’s daycare centers and preschools through Bach Before Bedtime’s local outreach program to underserved communities, thousands of students will be able to participate in the Bach Before Bedtime experience. Rozzie’s Musical Ensemble ensures there will be no financial barrier to entry. To ensure that each child can enjoy a little Bach Before Bedtime.